OUR NEXT MEETING WILL BE TUESDAY, MAY 7 –We will have our end of year party!! Bunco here we come!! 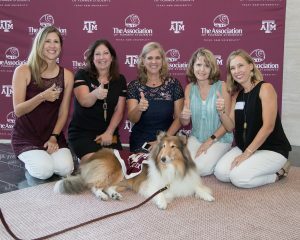 Please invite any new Aggie Moms and their new Aggies to this event. It is very informative for them, and there are door prizes! 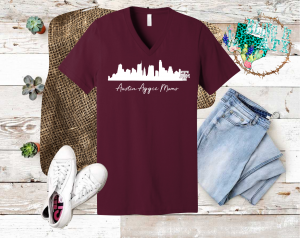 NEW Austin Aggie Moms Club Shirt Available! If interested, email our VP Tomi Johnson at tomi@blingitATX.com . Click to hear “The Spirit of Aggieland” by the Singing Cadets.